Get a Fair, Ethical, Consistent DOT Physical Exam at our convenient, driver Helpful clinic located at 1930 RT 35 Suite 5 in Wall, NJ. Pass Your CDL Physical Exam! 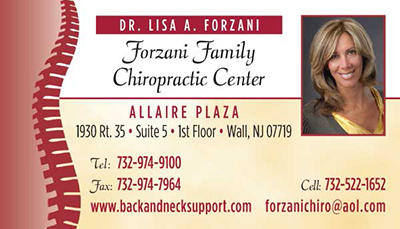 Dr. Forzani knows how important it is that you continue your livelihood as a commercial driver. With her extensive knowledge of the DOT Physical Exam medical guidelines, Dr. Forzani will steer you through the DOT Physical Exam requirements so you can Keep on Truckin’. Looking for a DOT Physical Exam or CDL Physical Exam in Wall, NJ? You’ve come to the right place! Dr. Forzani is a FMCSA National Registry Certified Medical Examiner who has completed the training and passed the Medical Examiner Certification Test.